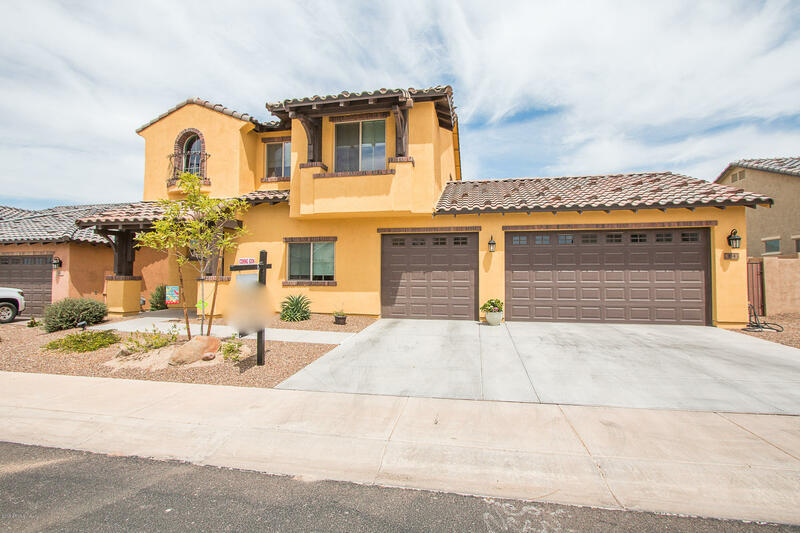 All EMBARCADERO AT SOUTH MOUN homes currently listed for sale in Phoenix as of 04/23/2019 are shown below. You can change the search criteria at any time by pressing the 'Change Search' button below. "QUICK MOVE-IN, FORMER MODEL HOME. 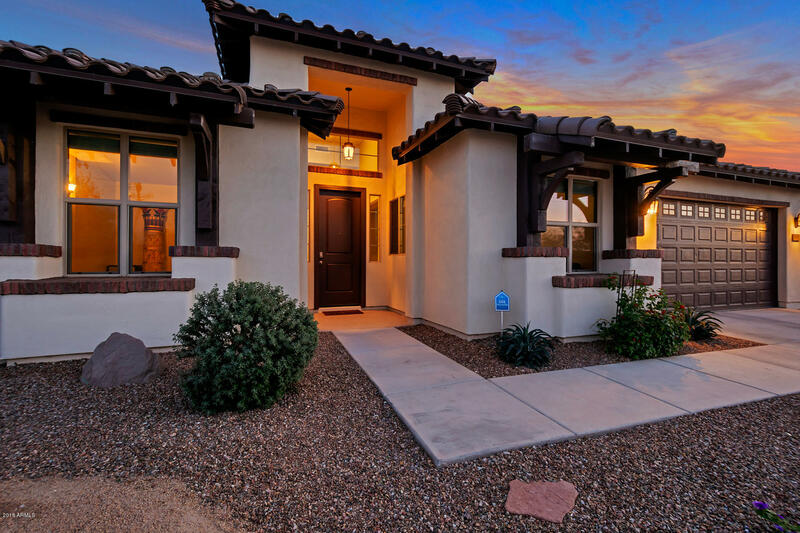 GATED COMMUNITY OPEN DURING SALES OFFICE HOURS OR BY APPOINTMENT. Impressive former model home, beautifully upgraded! This 2314 square foot single level home is sure to WOW! 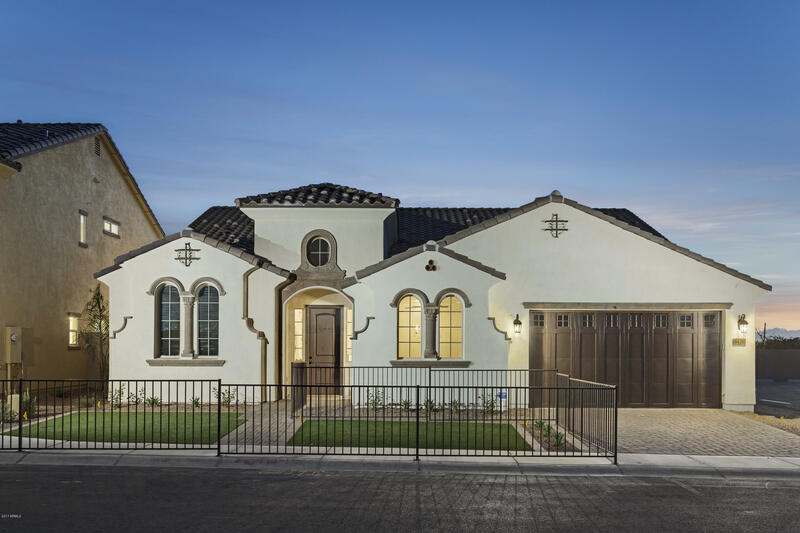 The wide open floorplan is ideal for entertaining and large family gatherings. The huge great room boasts beautiful 12 foot tall ceilings, stunning beige-brick wall, designer ship lap wall and wainscoted walls. The cook will love all the kitchen storage, huge island, stainless steel ap"
"Beautiful, Highly Energy-Efficient Home near South Mountain. Less than 15 minutes from Downtown Phoenix. Completed mid-2017. 2-10 Home Warranty. This home has numerous upgrades that make it special: Gourmet Kitchen with Cambria Quartz Countertops, Brick Accent Wall in Dining and Kitchen area, 16' Glass Wall in Great Room, Sante Fe Smooth Drywall Finish, 8' Doors, Bonus Room, Pre-wired Surround Sound Theater Room with Tiered Flooring, 5'' Baseboards, Fans in each Room, Plank Tile Flooring and Up"
"Stunning Bellago Home in gated community of Embarcadero! Highly upgraded 4 bedroom, den plus loft! No wasted space here from the minute you step in! Tiled foyer area, stairs to 2nd floor, powder room and huge den area!! Makes for a kids play room, home office/craft room/gym, so many possibilities! You will love the main family room connected & open to spacious kitchen & dining area. Granite counters, Island, SS appliances, gas range,pantry all surrounded by espresso cabinets w/ brushed nickel ha"